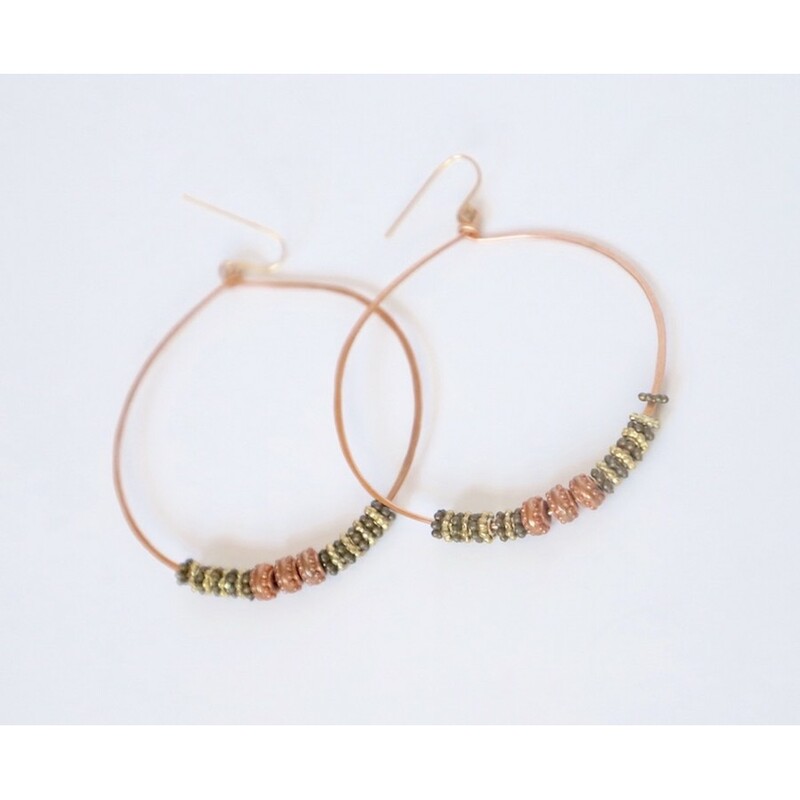 Gold or Rose Gold Hoops adorned with a cobination of metal beads found across the world. Each pair is unique, so there will be slight variations in beads. 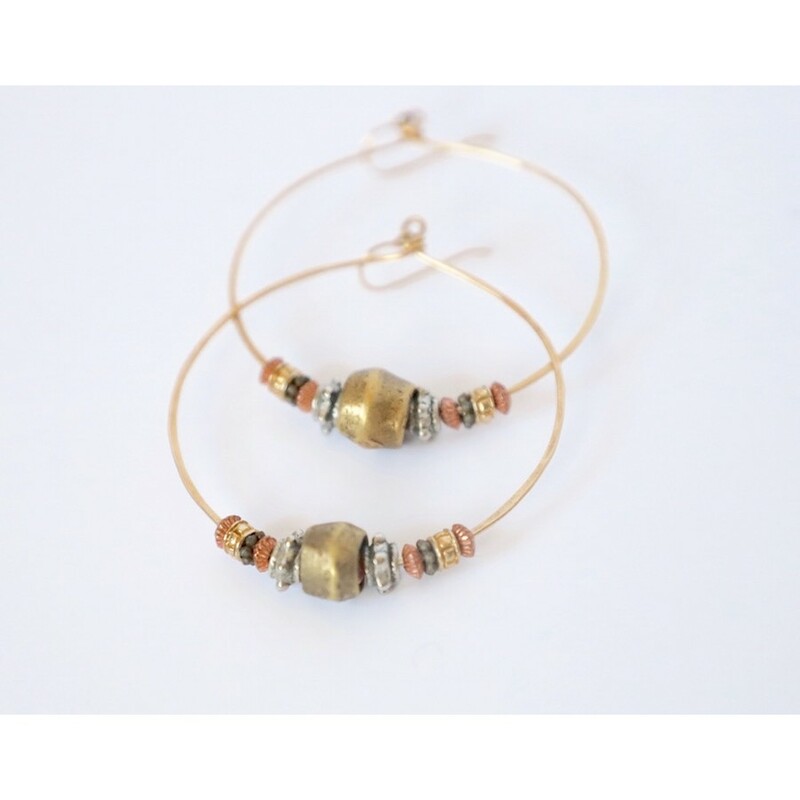 Hoops are about 2 inches in diameter. Lightweight.